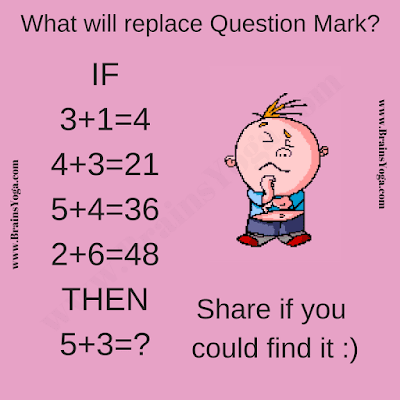 This is very interesting logical reasoning equations brain teaser. Here are some equations which are wrong Mathematically. However there is some logical connection in these equations which makes these equations correct logically. 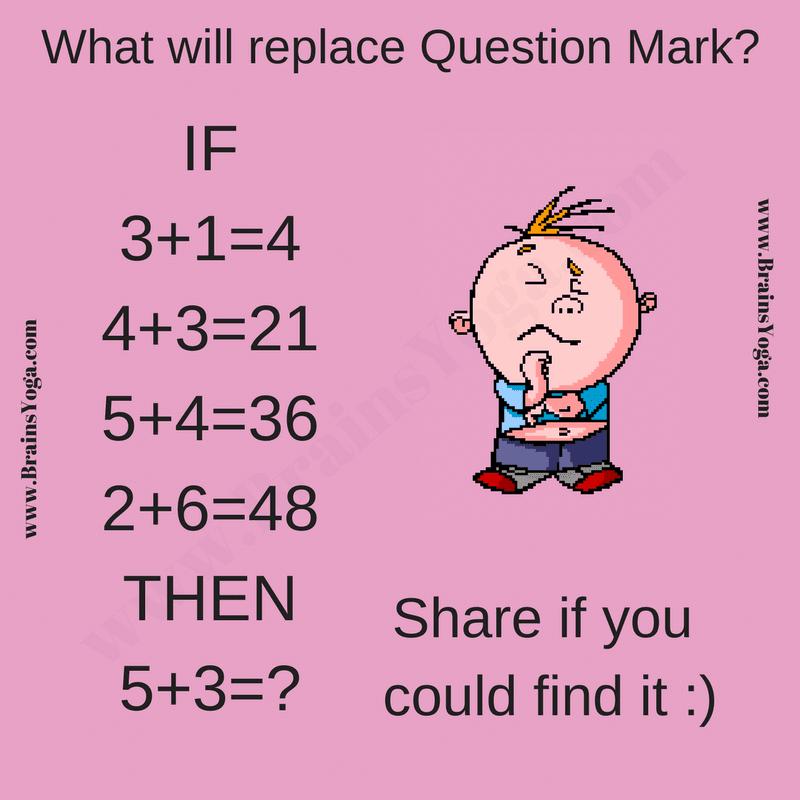 Can you find the logical reasoning in these equations and then solve the last equation? Can you solve this logical equation? The Answer is 24. It is obtained by adding both numbers on left and then multiplying the sum with the second digit on left side of equation.